This post and the following entries are just quick updates to let you know what we’ve been up to since my last post for day 28. 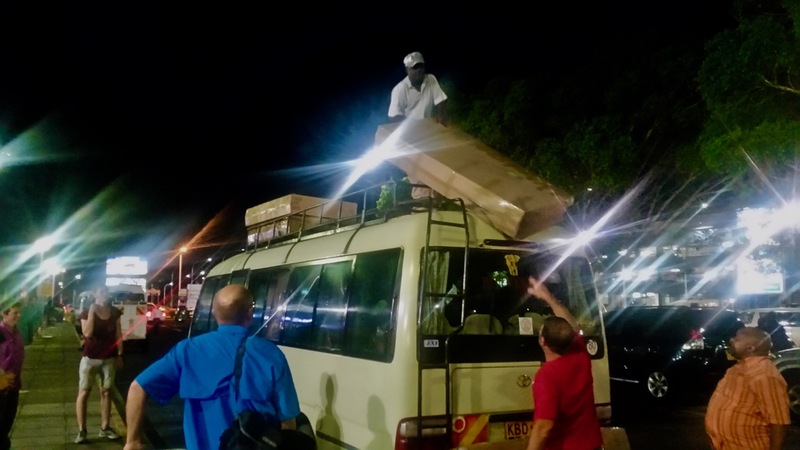 Last Friday, on day 29, we took the bus back from the Ethiopian border to Khartoum. 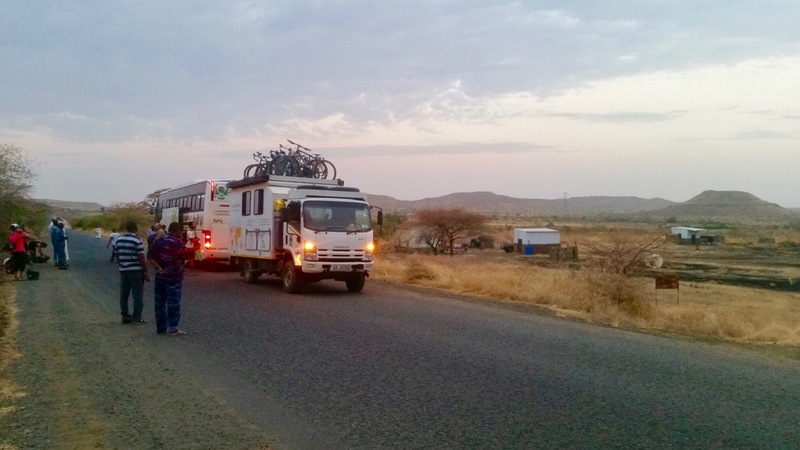 At the same time, Max, Muli, Sharita and Wynand started their journey with the TDA vehicles through Ethiopia. Whether to leave our bikes and/or second bags on their trucks at our own risk was subject to heated debates. 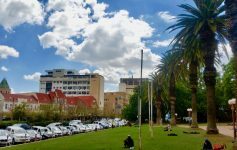 It wasn’t certain whether they would arrive on time in Nairobi (subject to vehicle breakdowns, political unrest and other unforeseen obstacles), nor whether our bikes would make it unharmed. If the vehicles wouldn’t make it, TDA had a contingency plan to continue the tour nevertheless. I had opted to take all my gear with me onto the flight. The prospect of eight hours stuck on a bus was rather scary, but I was pleasantly surprised. We had aircon, and even got some snacks and drinks along the way. I found the eight-hour journey quite relaxing, giving me a chance to simply close my eyes and start my recovery. Others might disagree. We only stopped once along the way for lunch. Those struggling to relax, or who dared drink more than absolutely required, might have had a somewhat less pleasant experience on the bus. 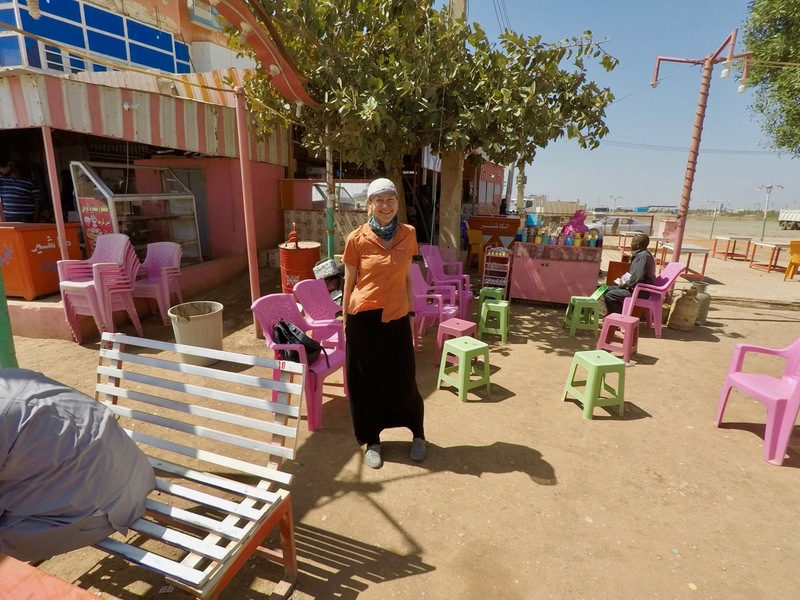 Me at our lunch stop—what a colorful place! Coming back to our familiar camp site in Khartoum felt almost like coming back home—camping on grass rather than sand, access to hot showers, relatively clean toilets, power outlets, good internet and ordering food à la carte all had become highly appreciated luxuries after a week in the wild. 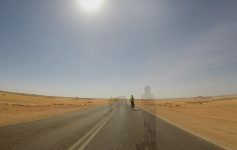 However, I still felt so depleted of energy from our off-road cycling days in the heat that I just wanted to sit and relax. The only time I left the grounds of Grand Holiday Villa (where we were camping) was to find a pharmacy. Unfortunately, when we came back on Friday, all pharmacies were closed. I would be more lucky on Saturday. “Do you have coughing syrup?” I asked the friendly pharmacist.—”Do you have a dry cough? Or mucous?” he asked in fluent English.—”Mixed. But do you have anything without sugar? I don’t like all the sugary stuff.”—”Like this one?” he handed me a package. SUGAR FREE, it said on the packaging, and only natural ingredients were listed on the cover. 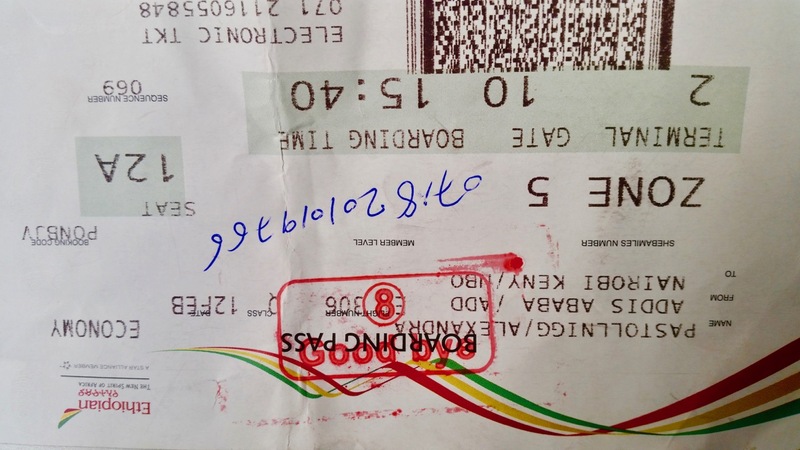 Together with sore throat lozenges and vitamin C, the bill added up to 161 Sudanese pounds (about USD 10). I wonder how locals are able to afford medication at almost Western prices. I didn’t have 1 pound, and the pharmacist had no small change. “It’s OK,” the pharmacist rounded down to 160 for me. But I couldn’t possibly accept that, so I gave him 162 instead.—”Here, take this,” he insisted to give me a free package of chewing gums to make up for the difference. 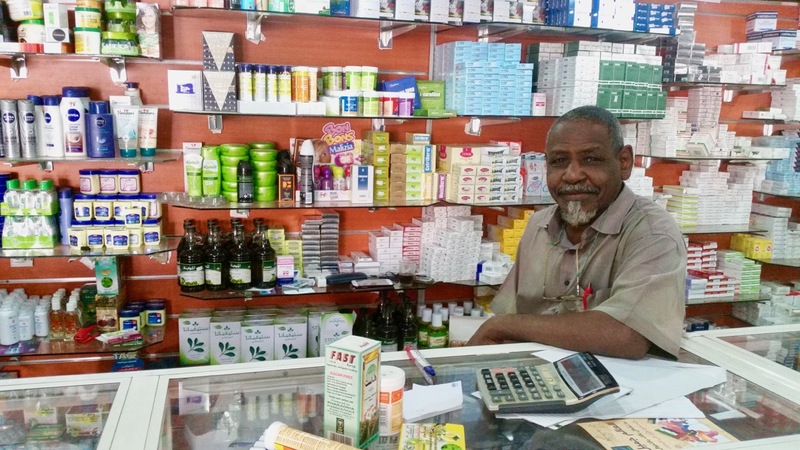 Once again, the pharmacist confirmed the impression we’d had all along about Sudan—one of the most friendly and welcoming places to visit! On day 30, those of us who hadn’t left our bikes on the TDA truck needed to box them for the flight. What had seemed like a major task back home, felt more like routine this time round. Everyone seemed to be able to do it mostly by themselves, and Leo was around to help with screws that didn’t want to come loose or other minor issues. 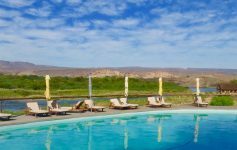 Most of us had booked either one of the same three flights from Khartoum to Nairobi (direct on Kenyan Airways or via Addis Ababa on Ethiopian Airlines), and TDA had arranged the airport transfer for us. I was on the Ethiopian Airlines flight on day 31. We left he hotel in Khartoum at 8.30am and arrived at our camp in Nairobi at 8.30pm—a full day of travels! Transit highlight #1: Negotiating with the ground staff to have all our bikes shipped, and trying to get a better rate. Fortunately, they would take all our bikes. Unfortunately, however, we had to pay the full price—USD 100 each. 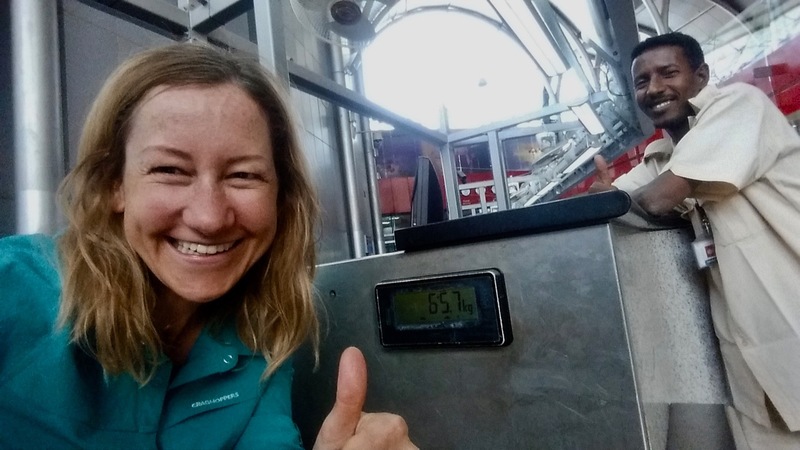 Transit highlight #2: Weighing ourselves at the check-in counters—who says this is only for bags?! Most of the guys had lost a few pounds, but nothing too dramatic. On my end, all same same (just more muscles, hopefully?!). 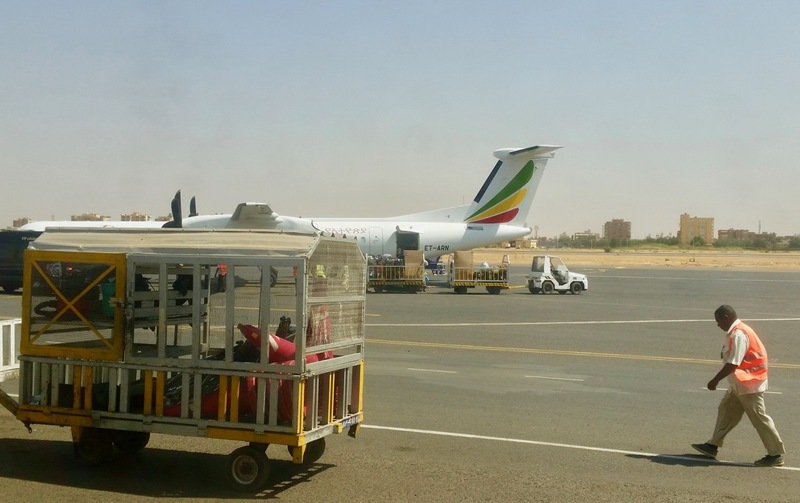 Transit highlight #3: Watching our bikes getting loaded onto the plane in Khartoum—yes, they hadn’t got lost (yet)! 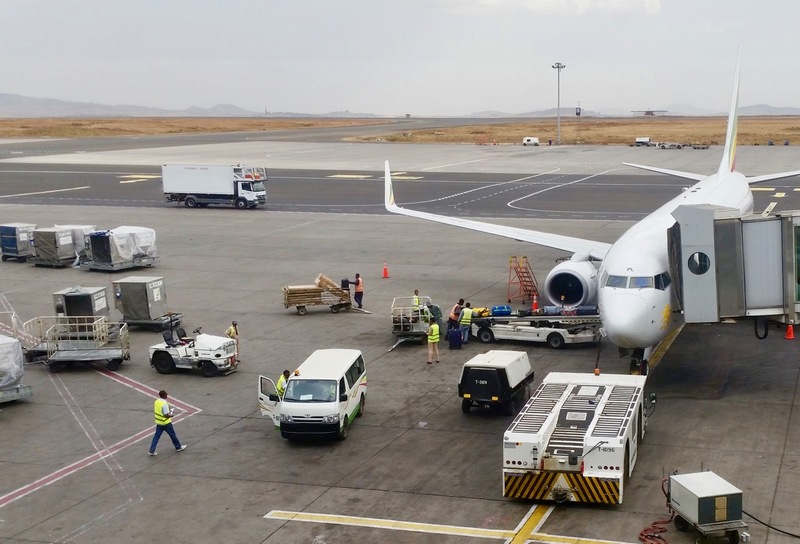 Transit highlight #5: Watching our bikes getting loaded onto the plane in Addis Ababa—yes, they hadn’t got lost (yet)! Transit highlight #7: It’s green in Kenya—what a pleasant change to sand and grit! 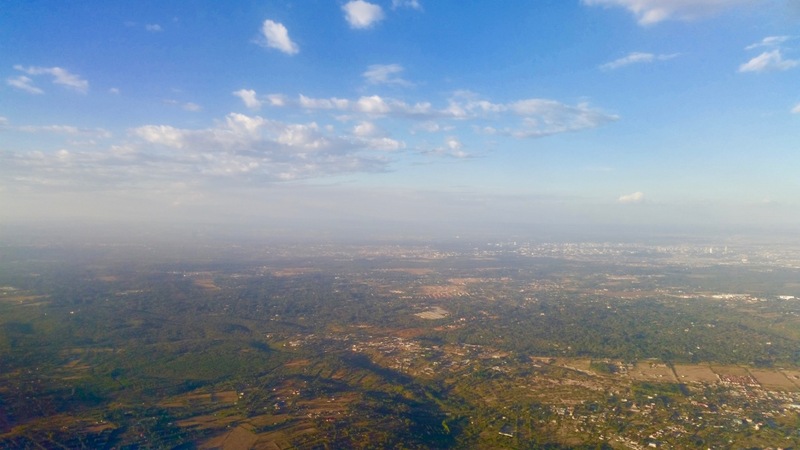 Descending into Nairobi—it’s green down there! 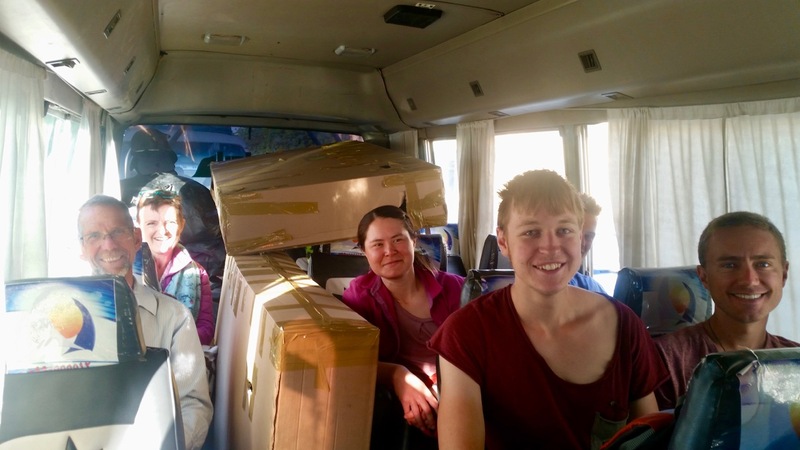 Transit highlight #8: All our gear safely arrived in Nairobi!